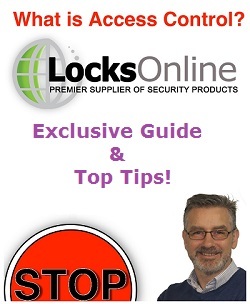 Finally, a simple and cost-effective way to implement access control to your uPVC doors! 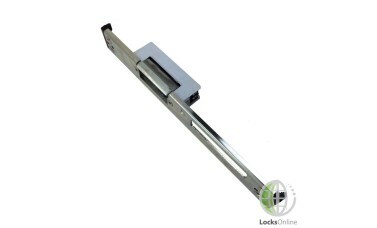 This strike-release has been engineered to suit uPVC door latches, allowing for full strike-release operation on plastic doors. 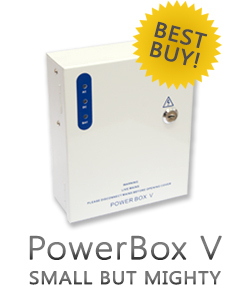 These strikes are handed, left and right, and are available fail-locked (fail-secure) in 12v AC/DC, as well as fail-unlocked (fail-safe) in 12v DC. Both options are explained below. - F/L = Fail-Locked. This is often referred to as 'Fail-Secure', meaning that in the event of power-failure, the door will remain locked, restricting use of the door. - F/U = Fail-Unlocked. This is often referred to as 'Fail-Safe', meaning that in the event of power-failure, the door will unlock allowing free use of the door. 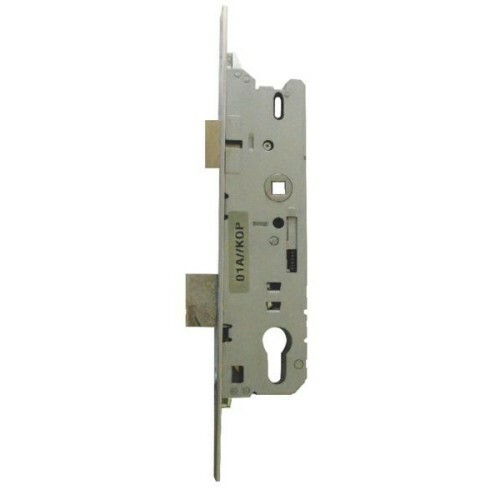 Please be aware that this electric strike door release is only designed to work in conjunction with the latch aspect of the door, and not the locking system. 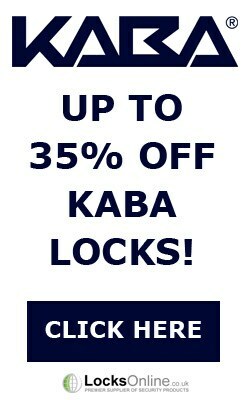 Therefore we recommend that you ensure your uPVC door lock has key-operated latch-retention and a dummy-handle on the outside so that the door can only be opened from outside via an extended key-turn. Please also be aware that if using a dummy handle on the outside, you will loose the ability to lift the handle from the outside which is required by most multipoint locks in order to fully lock the door. This strike requires some excess plastic be removed from behind the releasable strike, to allow space for free motion when attempting to release the door. Now, we all know if you're in the industry or you're thinking about having some form of access control and you happen to have a UPVC or a plastic door, it's an absolute nightmare as to what you can use in which to be able to electronically control access through a UPVC door. Now, we do have the GUA opener on our site, which is a pulley system that's designed to work on a UPVC door. 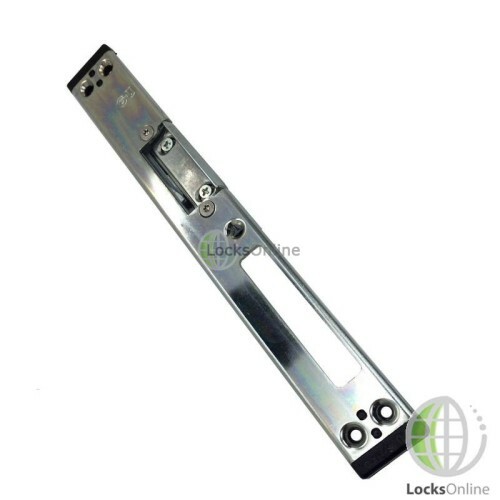 It's the preferred option, but sometimes if it's looking for something that's just a little bit more passive, not the active security, just something to work on the latch in the centre of the door, then maybe this is the type of strike release that you're looking for. This is the actual device here, as you can see. I don't know if you can zoom in there on that for us. 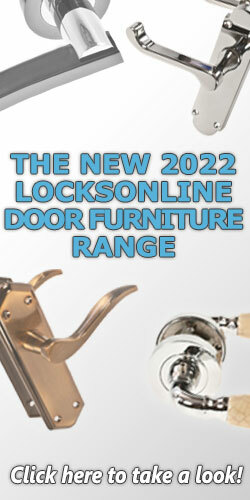 So the idea here for this particular type of strike release is that it's designed to work on the latch on your UPVC door. There's a big space in here to allow it because most handles lift up and you throw a bolt or you turn the key and you wind a bolt into the keep there. So bear in mind this only works on the latch. It's very, very important. 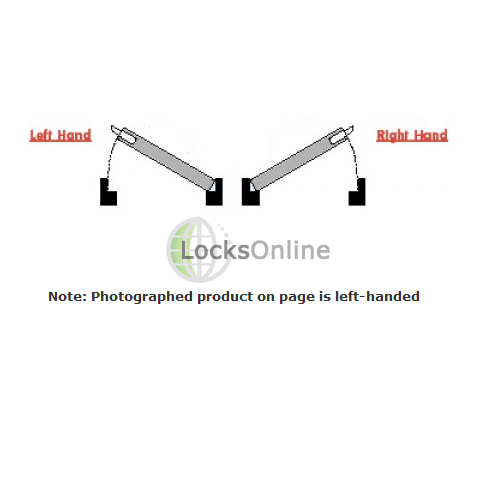 So if you have a lift up lock, and let's assume that you have to lift the handle to lock it, you'll have to disengage that function on the outside because that would also operate the latch. So it's important for you to be aware of that. In an ideal world, you would use a wind up lock whereas you would use a key and then a fixed pad on the outside. Now you can, if you wanted to, use these fixed spindles as well that would allow you to cut the spindle down on the handles that you do have and use the fixed spindle. And that fixed spindle then would stop the handle moving on the outside. That's a little bit further on our web page. Now, the idea with this is obviously it operates the latch. You would connect this here. I don't know if you can zoom in there for us. And there are your two terminals sitting there. So when you apply power to this, this release will release and allow the door to open. You also have, and if you could zoom in really close for us, you have some degree of adjustment there so it allows you to move this latch in or out, depending on where your settings are on the door. Now they come in two different versions: the 12-volt AC or DC, and they also come in a fail locked or a fail open procedure. So the fail lock means that this is a fail lock or, in other words, it's always locked. So when there's no power to it it's locked. And then fail unlock means it needs power to it all the time to lock and if the power was to fail then that would then release. So that's the particular type of application with these. Now, what I'm going to do now is I'm going to get you some measurements just to give you guys some sort of idea. If you could zoom in on there for us on there. So the overall height on this, there are plastic sides on here that are just cosmetic. You don't necessarily have to use them but they're on there. They come as part of the kit. So the overall height of the metal itself is 225mm. 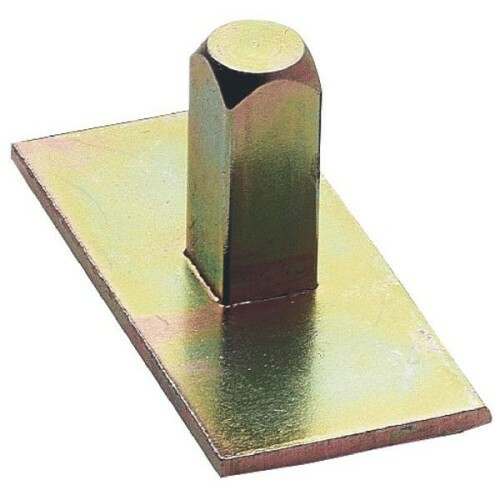 The width of this is 28mm and the depth of the jaw there, just to give you guys some sort of idea, is about 6mm. The height of the jaw is 45mm. That's the distance between there and there. And also, what I'm going to do as well is I'm going to measure a centre line there to the centre of this keep here to give you guys some sort of idea as to what your centres would be if you got a bolt as well that you want to lock the door. So from centre to centre is about 95mm and the actual height of that there is 65mm. And the width of that there is about 11mm. You have screw fixings at the top there, one in the centre and two at the bottom. Also, just look at this now for the depth here. If you're fitting this on your door, the depth of that, you will need to be looking at going in around 25mm there into your actual door. The actual height of that as well is just over 74mm and then the width is 20mm. And as you can see, guys, it slightly sits off centre, so just for your information. So we try to use this video to give you as much information as possible so if you think this is the ideal solution for you, then at least now you have a video to be able to see it in the flesh and think, "Yes, that's exactly what I'm looking for." Or if there's an alternative by all means pop online and give us a shout. 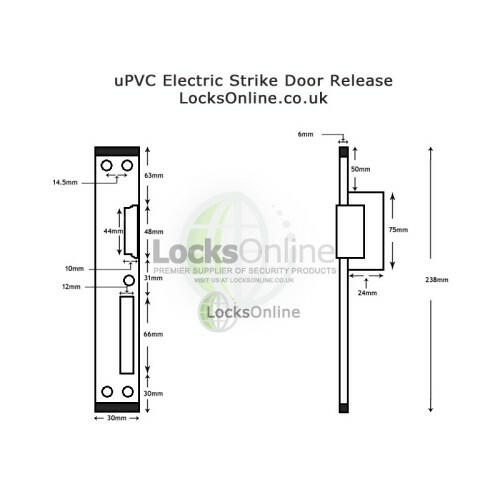 There you go, guys, it's an electric strike release that's designed to work with a UPVC door. There are caveats to this. You could reduce the security by using it so be aware of that and treat it only as a passive form of keeping the door secured on an electric release. 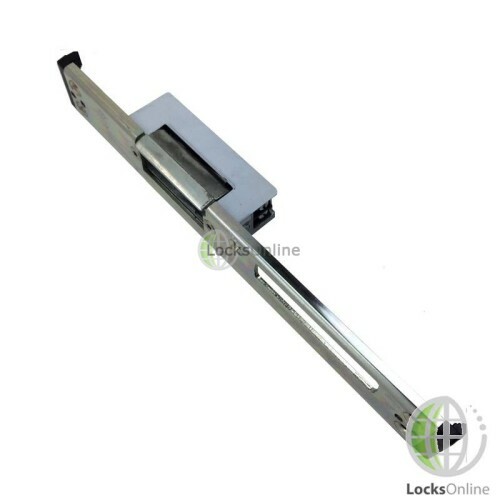 If you're looking for something a little more substantial, come and have a chat with us and I can talk you through, or any of the guys in the tech team, on the GUA opener, which is a fundamentally comprehensive locking solution that's designed for a UPVC door. So there you go, guys. 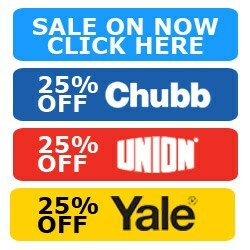 If you need a little bit more information on this product or any of our products on our website, by all means pop online. Use the live chat that we have on our website. Give us a call. Either way, we'd love to hear from you and, more importantly, we'd love to see you as a customer. So from me, Darrel, and all of us here at the team, take care and we'll catch up with you real soon. Bye-bye now. Bye-bye.